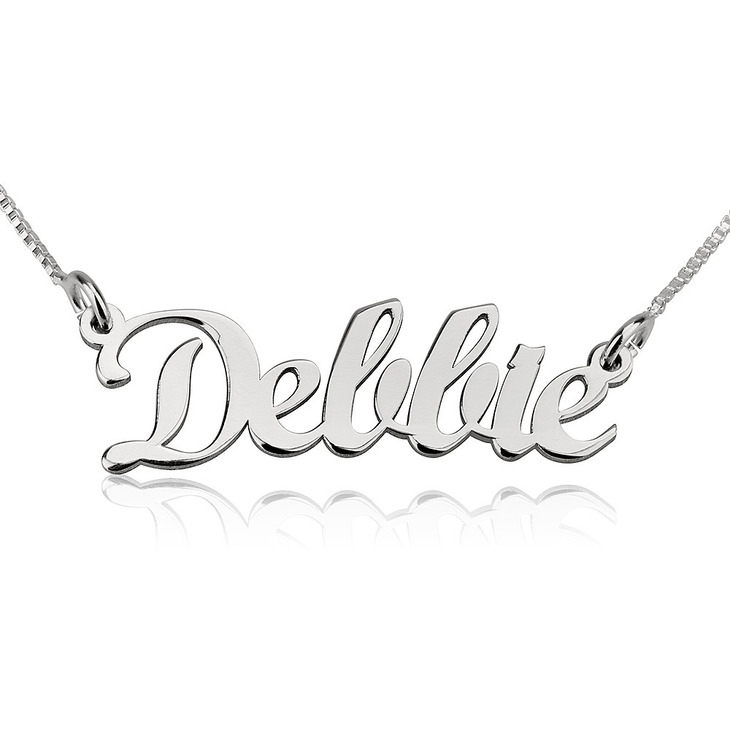 Spice up your look with this necklace that comes with a cute font style to adorn the name of your choice. 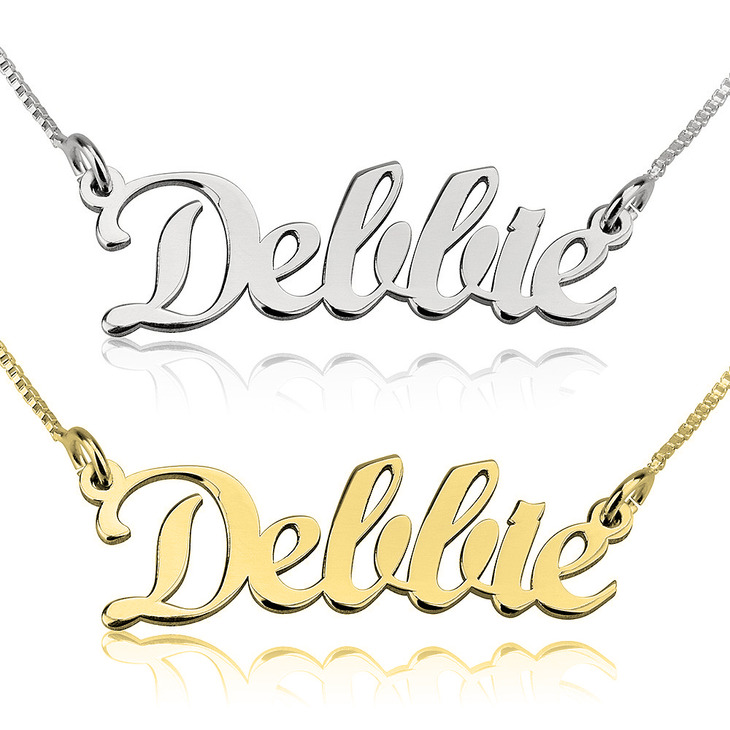 Designed with a sparkling luster, the brilliance of this well polished name necklace will certainly make you stand from the crowd. It is made from 14k white gold and smoothly polished with a subtle touch. The distinctive aspect that makes this piece outstanding lies in the artistically crafted font which has been curved out in perfection so as to spell out the any name you desire. 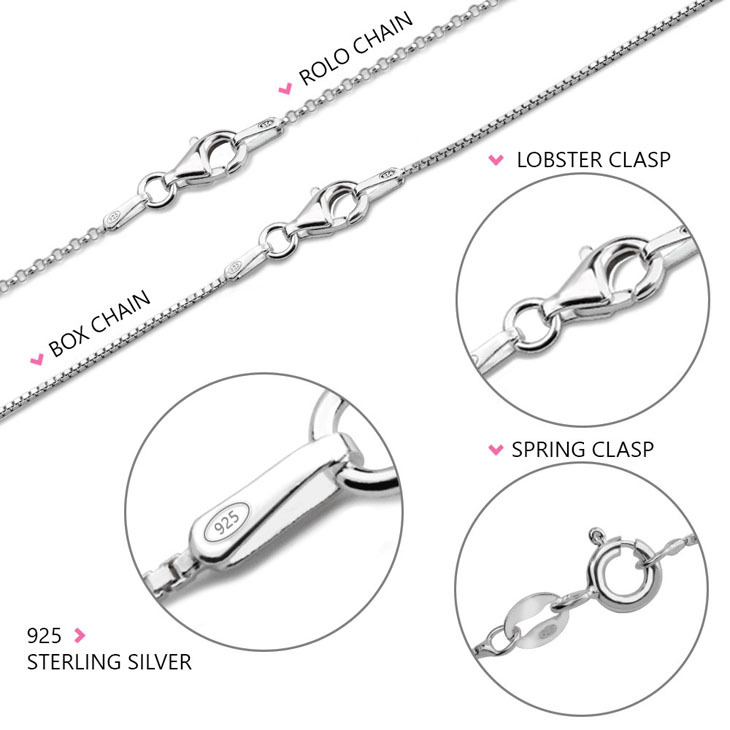 Both ends of the twist style chain hold the name together. 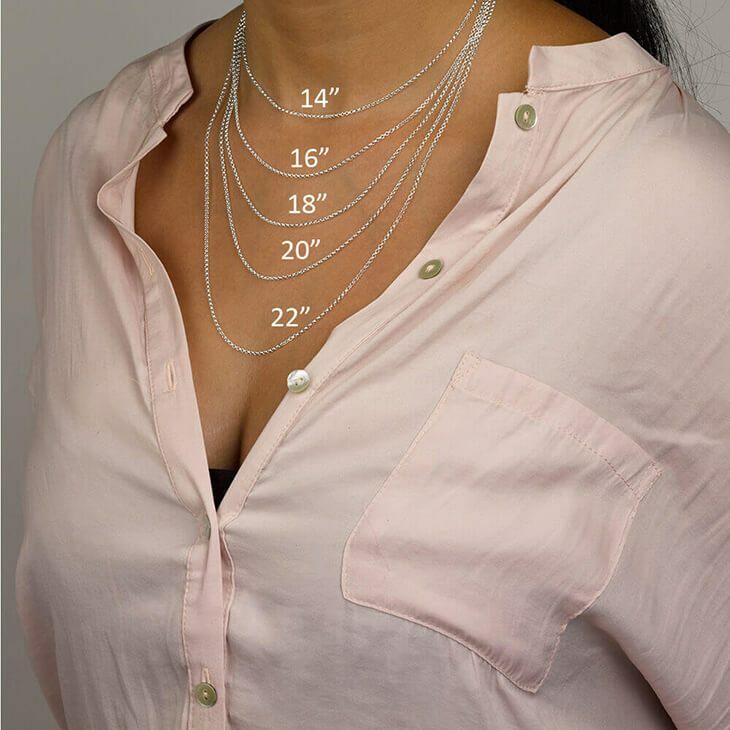 This chocker necklace also comes in different chain lengths to suit different kinds of people. With its lovely font and dazzling appearance, this pendant is just the perfect birthday, wedding, anniversary or engagement present to give to a loved one. To add an extra special touch to your personalised gift, the name necklace is packed in a gorgeous gold chain box that will make up for a charming present. 42mm x 12mm / 1.7" x 0.5"